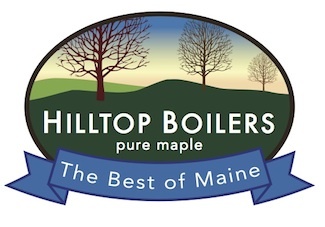 Nestled in the southern Maine town of Newfield, just 50 minutes from Portland Maine, Hilltop Boilers is your ultimate Destination for maple lovers. With a new sugarhouse opening in 2018, visitors will be amazed at the beautiful array of our award winning maple syrup. Tempt your tasted buds, see a cow or two in one of our pastures, explore the old country roads. Enjoy a short trip to the country and see how maple syrup is made. Indulge in a maple whoopie pie or a piece of creamy maple fudge. Savor your memories and take home a real treat of maple syrup in your choice of plastic, glass, and tin containers. For more information, visit our website at www.hilltopboilers.com . Visit our new sugarhouse and store- the ultimate destination for maple lovers. Maple syrup also available at Christmas Tree Shops in Maine. Maple syrup, Maple Cream, Maple Fudge, Maple Baked Bean Kits. Wide variety of maple related products, hay.